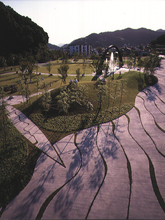 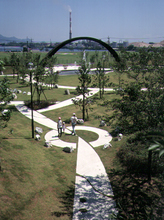 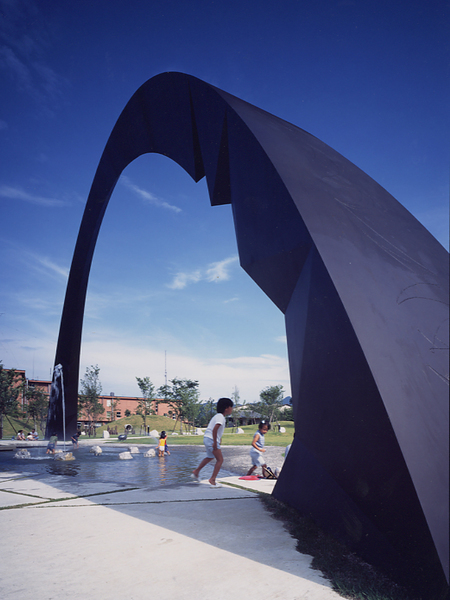 The Saiki Peace Memorial Park was built in Eiki Danzuka's hometown in Oita. 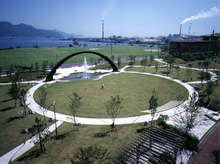 The park is attached to the Saiki peace Museum "Yawaragi" in which archives of former Japanese Marine is exhibited. 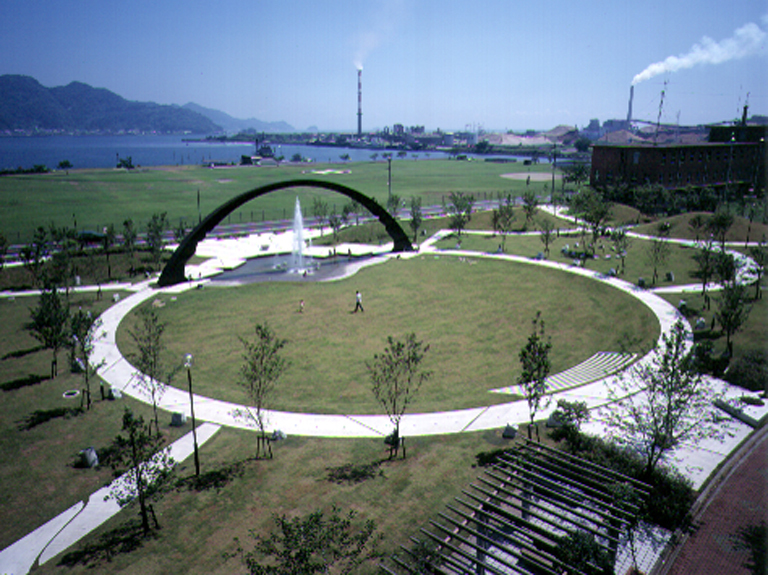 During the wartime, there had been a number of naval facilities around the site yet most of them were destroyed. 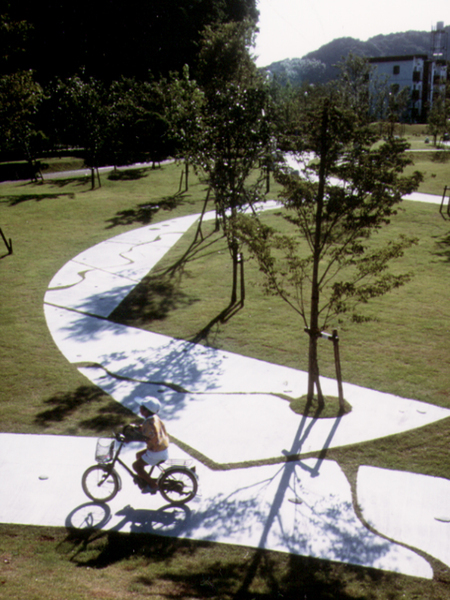 Paying homage to those who lost their lives in the sea during the wartime, the motif of Saiki's sea was used on the paving patterns, water feature, and plant species. 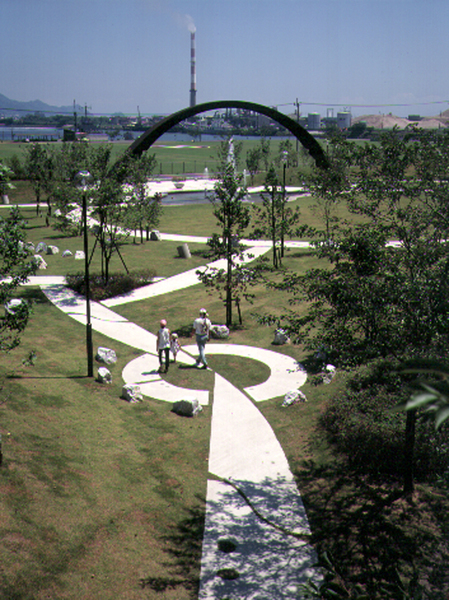 The ring at the center of the park completes with an arch-monument that bridges between past-future, human-nature, and human-human. 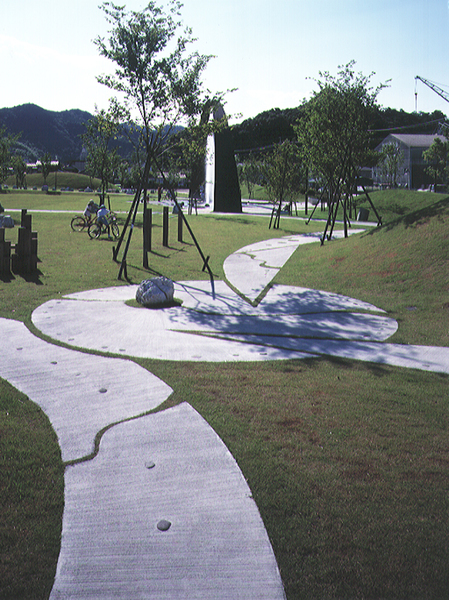 Trees were planted by the local children wishing peace and growth of future forest with full of lives.